The new MBA program designed by world renowned academics at Global College Malta provides a unique and intellectually engaging learning experience which shapes candidates' vision for tomorrow's business environment. The course curriculum provides students with a thorough understanding of current topics in business administration theory and practice. The program combines academic knowledge with applied training which builds students' strategic view of management and describes in greater depth the complexity and dynamics of the business arena. The main goal of the MBA program offered by Global College Malta is to prepare leaders who are able to innovate and improve the quality of management decision-making, whilst instilling healthy business practice in their organisations. The learning environment at GCM is supported by the multicultural vision that stands at the core of the program. Malta's strategic position in the European Union and its unique location facilitates the interaction between different cultures. Competitive applicants who enroll in the MBA program seek to broaden awareness of cultural issues and become responsible leaders in a global market. 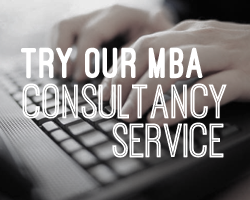 Choose a top business destination in Europe for your MBA studies. Apply to Global College Malta today! Any other management qualification or experience the Admissions Committee deem suitable. A minimum of two years’ relevant work experience, which may include voluntary or unpaid employment. A level of maturity appropriate for the study of business and management at a strategic level. Evidence in support of this may arise from a record of work, from referee’s comments, and/or from an interview. A minimum TOEFL score of 575 or a minimum IELTS score of 6.0 average. Find out more about the application requirements by contacting the admission office at Global College Malta here! The cost of this MBA program is € 10,000 for non-EU students and € 8,000 for EU students. Students can pay their fees in several installments.All admitted candidates who pay their fees before July 1st receive an € 500 early bird discount. Find out more about study costs and scholarships from the admission office. Enquire here! Short professional and vocational courses are offered as an extra-curricular activity. Global College Malta runs six courses, out of which students may select one per semester. Each student will receive a certificate of attendance, which can serve as valuable add on to their CVs. Candidates are given the opportunity to start an internship at a local business, to complement their MBA studies and further improve their career prospects. MBA candidates will have an opportunity to discuss their employment opportunities, CV and an application process with a specialized member of GCM's Student Support Office. Students who had started a degree and wish to transfer to Global College Malta are given the opportunity to join the program or attend one or more modules to build on their professional experience. Students will be provided with oral and written feedback on continuous assessment and, where applicable, strategies implemented to ensure that they are fully prepared for the end-of-course assessments. Get the detailed program curriculum by contacting Global College Malta directly here!